If there’s anything to love more than a classic white shirt, it’s a classic white shirt with a twist and the various ways in how to wear it. 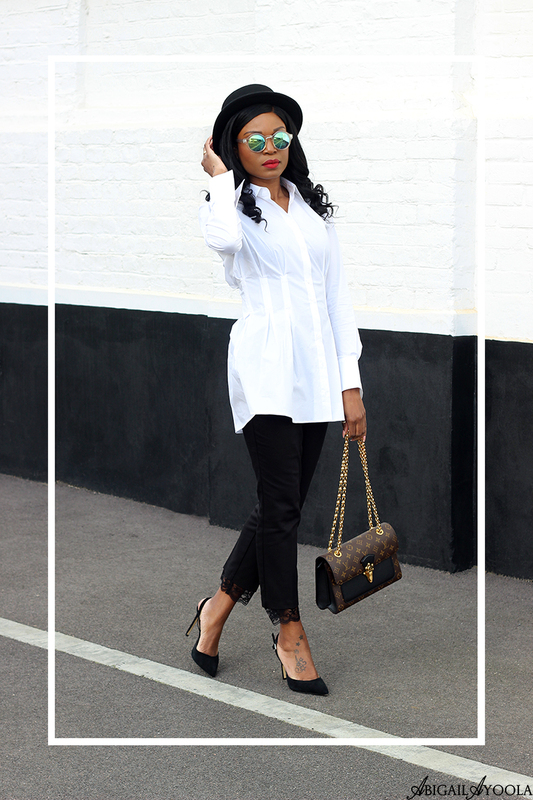 I’m an advocate for the white shirt as a wardrobe staple because it is clean, chic, versatile and easy to style. In this layering a white shirt post, I discussed how layering the white shirt can add your own spicy twist. But as with wardrobe staples, after securing the basics, we can then move on to the statements. And this white Boned Peplum Shirt is definitely a statement. Statement pieces can give your wardrobe a chic update whilst adding some flare to the classics. 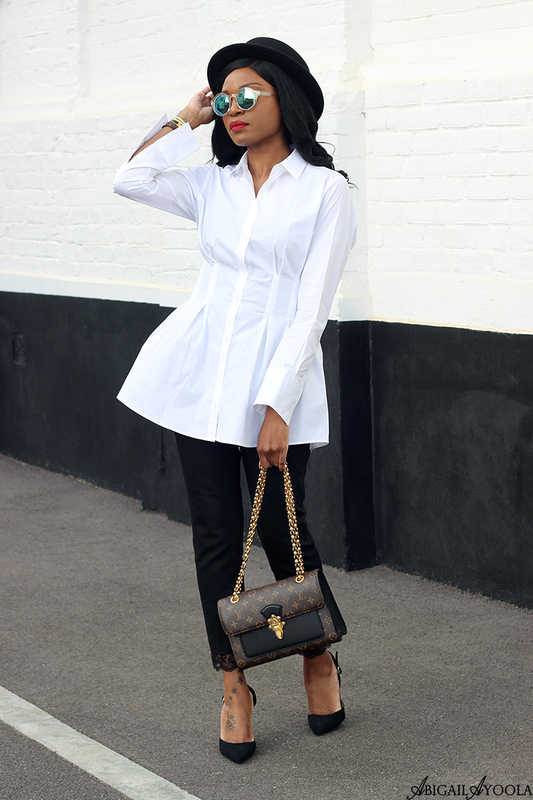 Other statement shirts to consider would be ruffled sleeves, laced bodice detailing, asymmetric hems or peplum pieces. This boned peplum shirt is a figure-flattering piece that you can effortlessly dress up or down. Here I styled it with cropped laced trousers which would work fabulously at the office. For an evening ensemble, this white shirt with a twist would look great paired with leather trousers and red heels.